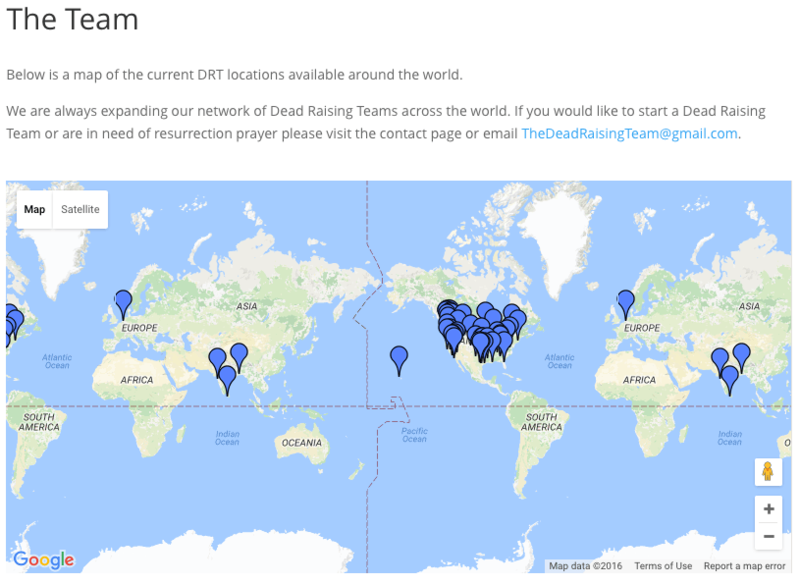 So … please … consider this my publicly-stated “DNR” – “Do Not Resurrect.” When I go, I’ll be most content to await that Word-promised final resurrection in which the culmination of the ordo salutis – glorification – is, by God’s grace, mine. (The ordo salutis, or “order of salvation,” is summarized in Romans 8:29-30). Were it not rightly for the glory of Christ and his love for the Lord, you just have to know that poor Lazarus wasn’t all that thrilled with coming back. I mean, really … who’d wanna come back here after having been to heaven? 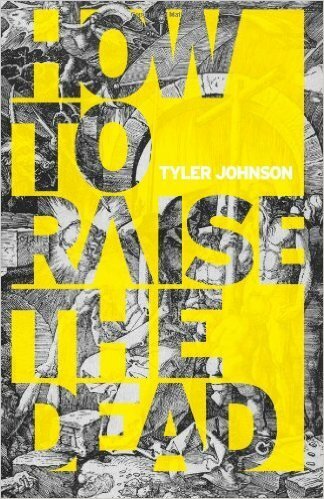 But Tyler Johnson doesn’t merely proclaim a belief in the potential ability of believers to raise the dead; he claims to teach others how to do it. His independently published book entitled How To Raise The Dead purports to instruct others how to accomplish a task previously reserved only for Christ, and His chosen prophets and apostles. They’ll stay as long as needed … or until your VISA card has reached its max, one presumes. 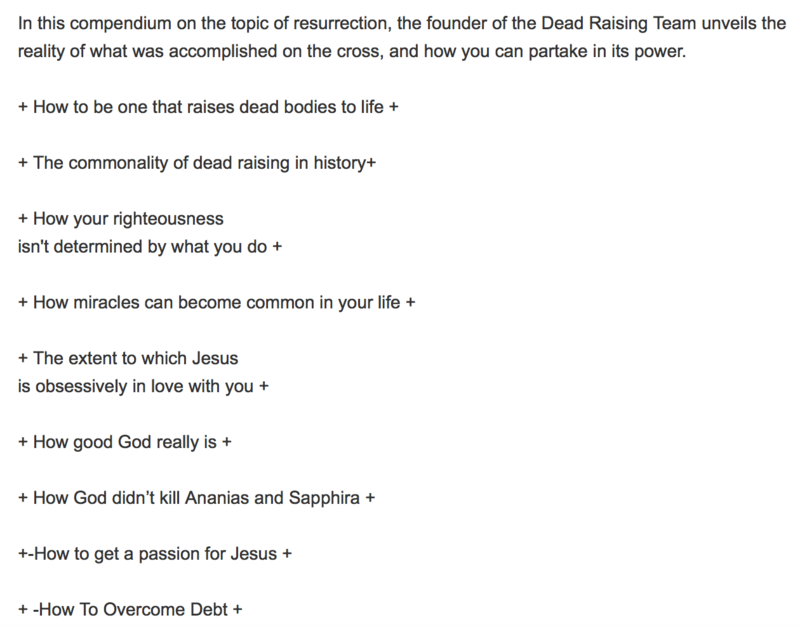 No doubt this is one sure-fire way for the DRT to “overcome debt” … on the backs of the grieving. No. Just say no. This is a grotesquely aberrant, and diabolically-inspired teaching. Believers do not have the ability to raise the dead. It is not a matter of having sufficient faith. It is not a matter of praying with enough sincerity. Scripture neither commands us nor compels us that resurrection powers are gifts of the Spirit given to regenerate believers. But herein lies the fundamental error with continuationist charismania. The authenticating miracle powers God used in Old Testament prophets and New Testament apostles were just that … authenticating. They were intended to validate the legitimacy of God’s chosen spokesmen. HOWEVER, the use of signs, wonders, and miracles by God’s agent was never intended merely to elevate the status of that chosen agent. Instead, they were intended to drive listeners to hear the legitimate, forthcoming revelation of God through those agents. Such wonders exhibited in the Bible were never about working wonders. They were always about drawing focused attention on God’s revelation. Moses’ miracles were not about Moses, but about God’s use of Him to proclaim divine plans. Paul’s miracles weren’t about Paul; they were to point Paul’s audience to the Gospel. But churches like Bethel and their Bible-denying co-horts like Johnson disregard the very revelation the New Testament miracles were intended to point to. They disregard and deny the Word and the Gospel by emphasizing experience over revealed Truth. God’s revelation has been jettisoned and the “experiential” has become the focus. Truth has been thwarted by emotion. The father of lies loves to have it so. Although Bill Johnson of Bethel – along with multitudes of other NAR types – is reputed be a bonafide, modern-day apostle, the canon of Scripture is closed. Thus, the affirmation-required authentication of divinely chosen spokesmen, pursuant to God’s New Testament revelation in Christ, is no longer valid. We have a completed, closed, and thorough revelation. The completion of that revelation means that the authenticating measures to show its legitimacy are no longer needed because God now speaks through that finalized revelation, not through human agents. Authentic believers call that revelation the Bible and are capable of apprehending and comprehending it by the Holy Spirit’s ministry of illumination. Places like Bethel, and ministries like the DRT, disregard it, both in context and in authority and sufficiency. While it is correct that nowhere on the DRT site does Johnson solicit donations for his illicit spiritual enterprise, that’s not quite the entire story. He does so under his broader umbrella ministry called One Glance Ministries. 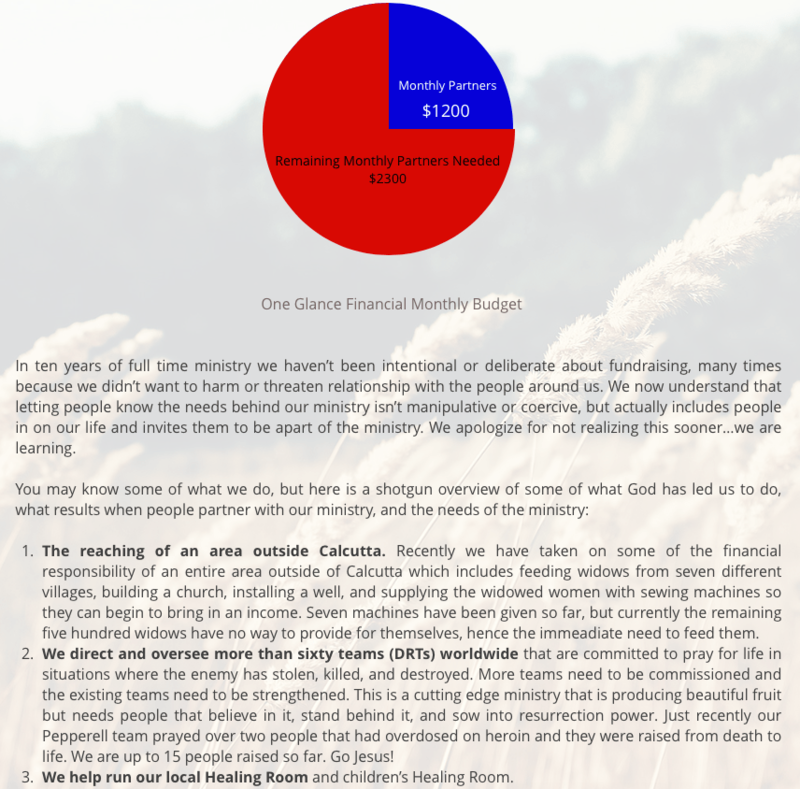 On that site, you will find an exuberant (“Go Jesus!”) explanation of the financial needs of the DRT ministry. You’ll not need to peruse the appeal long to notice the one glaringly absent element that one would presume a bonafide Christian ministry to tout – the Gospel is noticeably absent. The intent of the ministry is not to further the proclamation of the Gospel – the “power of God for salvation” (Romans 1:16) – in an “area outside of Calcutta.” The goal there might quench the ill-placed pursuits of a social gospel by “feeding widows, building a church, installing a well” and other things, but, apart from the God-wrought, man-proclaimed transforming power of the Gospel, those “widowed women” may merely find their temporal conditions improved, but their souls left hopeless in a “condemned already” condition. (John 3:18) A social justice gospel merely makes earth a better place from which to go to hell. Oh, yeah, the local “Healing Room and children’s healing room” are also in need of your financial help. 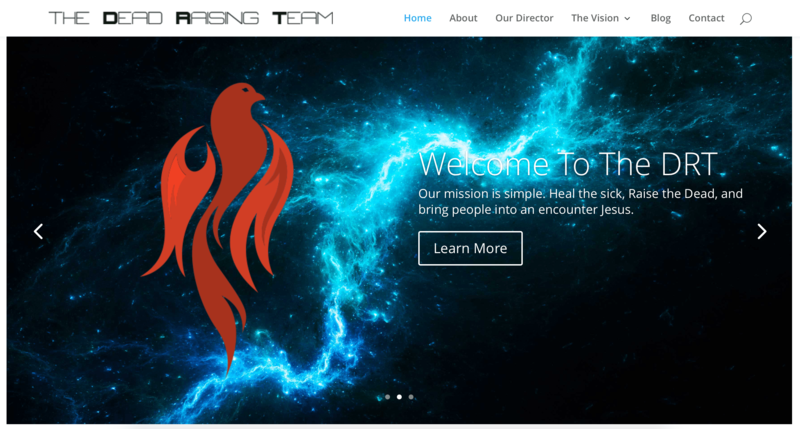 However, Johnson – nor Bethel which also runs a “Healing Room” ministry – does not cite a Scriptural “commissioning” for this element of his ministry, for the very simple reason that there is not one. Just as there is not one for his Dead Raising Team charade. The intrigue of the world over the supernatural has not waned with the shift of culture from modern to post-modern to post-post-modern. The media is awash in feeding the gluttonous extra-worldly, supernatural cravings of society in its continued appetite for zombies, witches, warlocks, vampires, mediums, ghost-hunting, and the like. The depraved, godless culture is eager for an encounter with the supernatural, a brush with the other-worldly, an interaction from beyond. And, with churches like Bethel and Scripturally-illicit “ministries” like the Dead Raising Team, these same desires are being served in the self-monikered “Christian” world. A perusal of your nearest Christian bookstore will reflect similar, if not less extreme, efforts to quench the “churched” public’s supernatural desires. From heresies that promote extra-biblical revelation (It’s nigh to impossible to list the high profile “Christian leaders” who promote this.) to improperly exegeted texts on spiritual warfare, supposed believers are being fed placebic, anemic, Scripture-slathered, but Scripture-denying, error and unsound doctrine. They are being fed fanciful interpretations that bring focus away from God and His revealed Truth to man and his unbiblical appetite for mystery, emotionalism, and mysticism. The genuinely regenerated believer, abiding in the Word, (John 8:31) will recognize that Christ is still building His church, the true church. He does it in a staggering, supernatural way … through a bonafide resurrection of those “dead in trespasses and sins” (Ephesians 2:1) into “a new creation.” (2 Corinthians 5:17) This is the ongoing, Gospel-powered, miracle being wrought by God across the planet … and it is a miracle of eternal consequence. For those whose focus, however, is on this world, rather than rightly on “things above,” (Colossians 3:2) the sin-generated death suffered by all is to be overcome by illicit and unbiblical spiritual endeavors. But if you truly want to see a resurrection, zealously share the Gospel with those “condemned already” (John 3:18) and pray God uses it to breathe eternal life into dead souls.